Last week we had a double reason to celebrate! 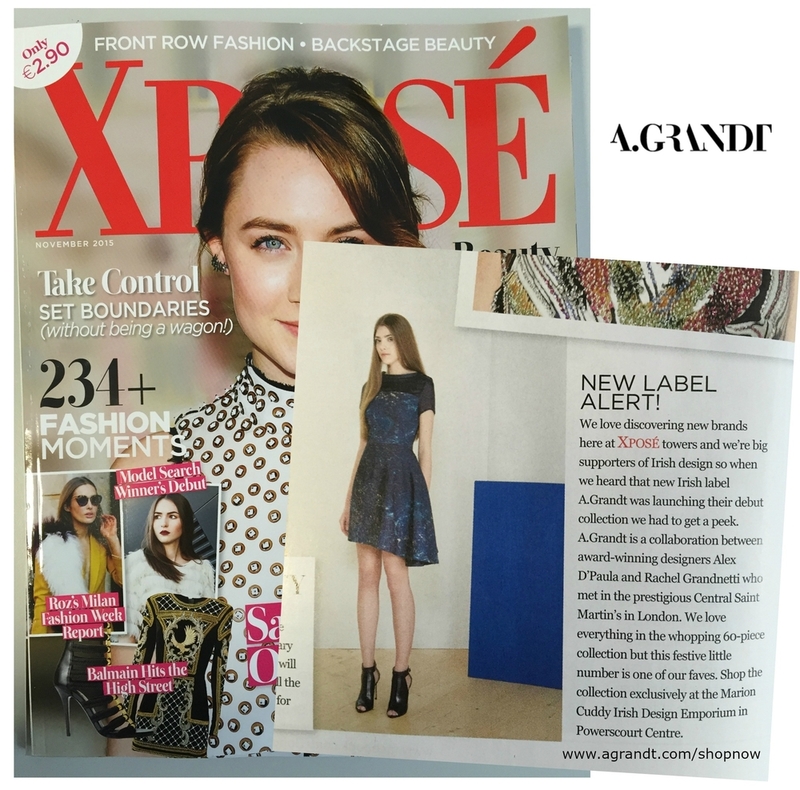 A.Grandt, my brand in partnership with Rachel Grandinetti, was featured as the upcoming Irish Brand in Xposé TV3 and also got a great piece in Xposé Magazine (November Issue). Watch our collection on Xposé TV3. Shop our debut collection here.